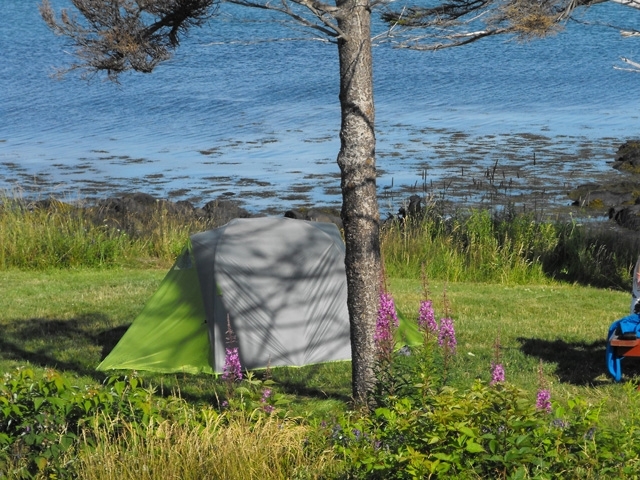 Site #89 is a beautiful grassy Oceanfront un-serviced tent site of medium size. 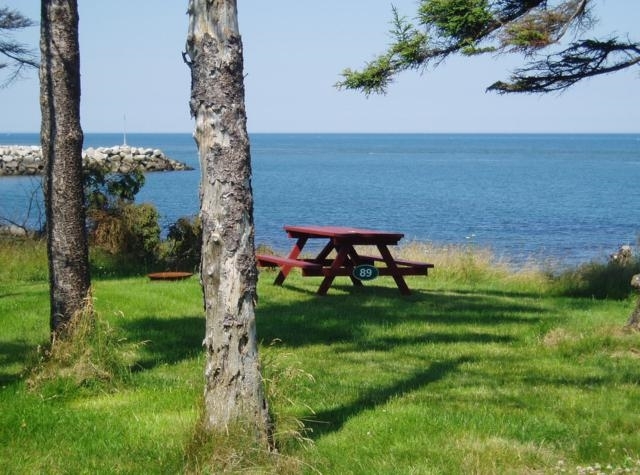 It has direct access to the Bay of Fundy waterfront and faces West into the setting sun. 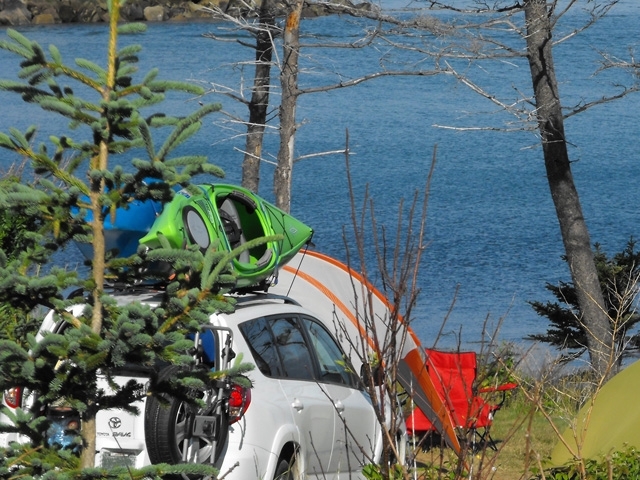 It will accommodate one medium sized tent and a dining tent, and is equipped with a picnic table and fire ring. 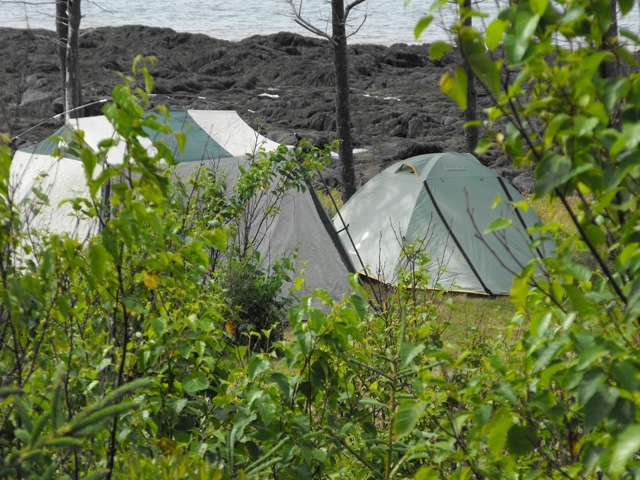 This site shares an access road with #88 and the two sites combined make an ideal location for parties wishing to camp together.